Kumamon is the official mascot of the Kumamoto prefecture. He is a curious, a bit mischievous, and slightly overweight bear because of all the yummy things to eat in Kumamoto. 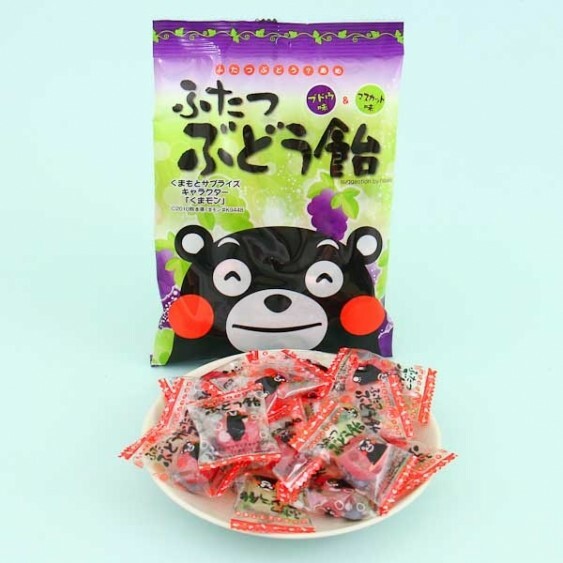 Kumamon wants to cheer you up after a sports performance or a day in the sun with these grape candies! 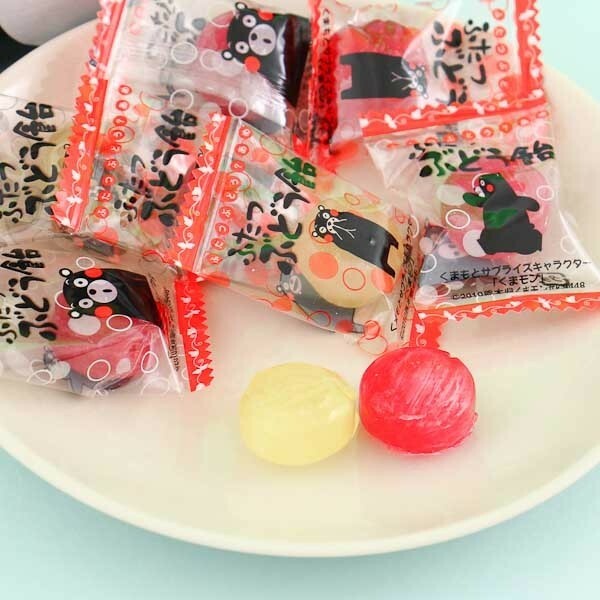 You can taste the flavor of Muscat and red grapes from Kumamoto prefecture, as the grape juice used in the candies is made from grapes of Kumamoto. Each candy has a different picture of Kumamon on the wrapping. So funny and like Kumamon would say: Yummy Yummy!